In the immediate future the Taiwanese company HTC is introducing a number of models bearing its own label, which will make two announcements since the company has launched its own brand. 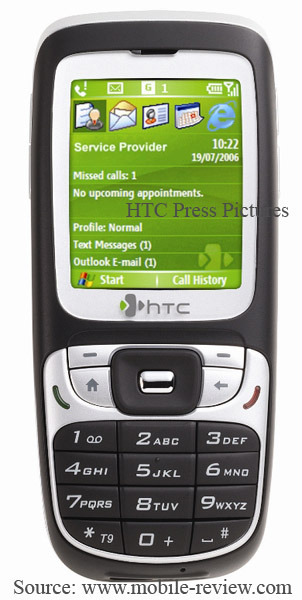 The first devices (HTC MTeoR and HTC TyTN) were demonstrated in June, 2006 at the same time with the statement regarding own line-up establishment. Here is an article covering that event, in case you would like to refresh it. Today our readers have a unique opportunity to cast a first look at three brand-new models before their official announcement. One of the most important happenings, which are about to take place, is introduction of a new HTC’s indexing system – whereas the first two models, similarly to Motorola’s RAZR, carried own codenames (MTeoR, TyTN), the new products lack personal titles and feature alphanumeric indexes instead, so that smartphones get “S” letter, while Pocket PC – “P”. Apparently, this way is much easier and requires less efforts, however there are several other reasons. The first one lies in complexity of personal titles, which are basically hard to pronounce; another one has nearly the same nature – it is not easy to make up titles for every new model, as if that’s the case, the company is to consider countless marketing-related aspects. So in the end, new indexing system allows HTC’s marketing department to breathe with relief and at the same time confuses end-users a bit (as it differs so much from familiar personal titles). The four-digit index following the type-determining letter is quite obscure as well – does the company plan to release so many models (Nokia has nearly exhausted the four-digit index only recently, after many years of non-stop releases and on top of that it makes a little use of letter)? Are we to see 100-200 new devices by HTC in the following years? Personally, I can rightfully cast doubt on that. 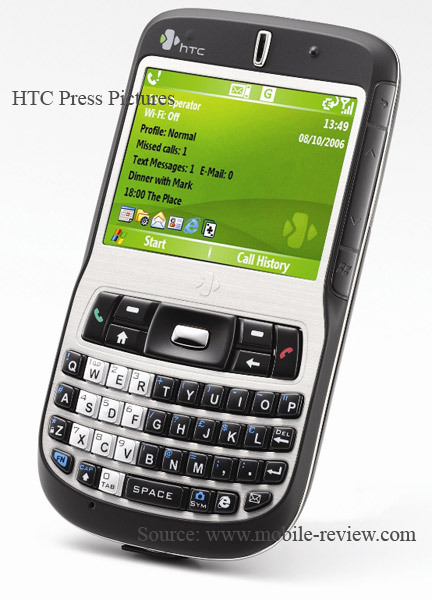 The first model goes by the name of HTC S620, codename Excalibur. 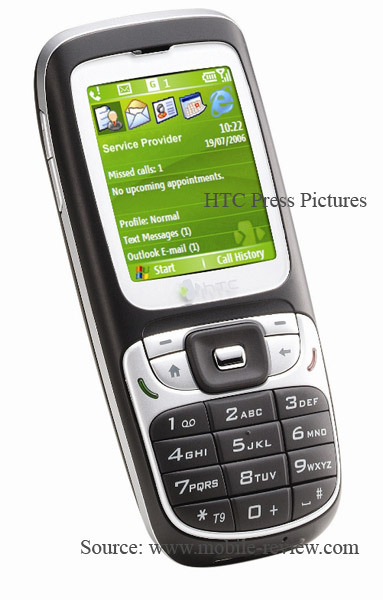 All in all it’s a smartphone featuring a landscape display and armed with a QWERTY-keyboard. Nevertheless it is a slightly late call, as the market has already seen the releases of Samsung i320 and Moto Q, not to mention Nokia E61 and numerous BlackBerry-branded devices. 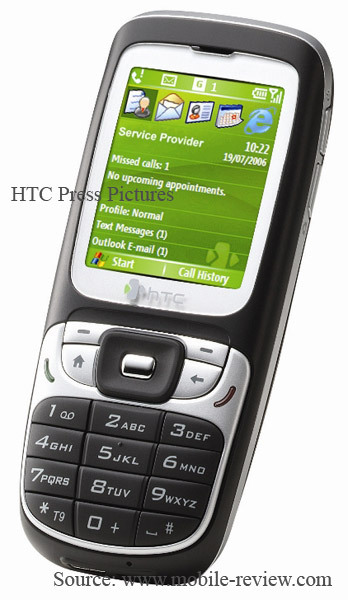 In fact the company is now expanding to new form-factors, not used before – over the past years HTC had been making use of candy-bar shapes only, however recently it announced a folder and now - QWERTY. Unlike models by Samsung and Motorola, HTC S620 sports Wi-Fi connectivity; also a very unique touch-sensitive control panel (JOGGR) located on the right of the screen is worth mentioning. Dimensions-wise the smartphone proves to be a bit larger than Samsung i320 - it holds true mostly for thickness, but owing to soft touch plastic the model by HTC feels better when holding it in hands. In terms of hardware (CPU and memory) the brand-new device copies Qtek 8500 (HTC Star Trek), at least their performance tests are as like as two peas in a pod. The S620 carries a camera similar to that of HTC Star Trek and a moderate battery (960 mAh). Operating system – Windows Mobile 5.0 for Pocket PC AKU 3.0. Retail price is expected to be somewhere between 550 and 600 USD. For the first time HTC (though, forced by Microsoft in many respects) releases an entry-level model - HTC S310, codename Oxygen. 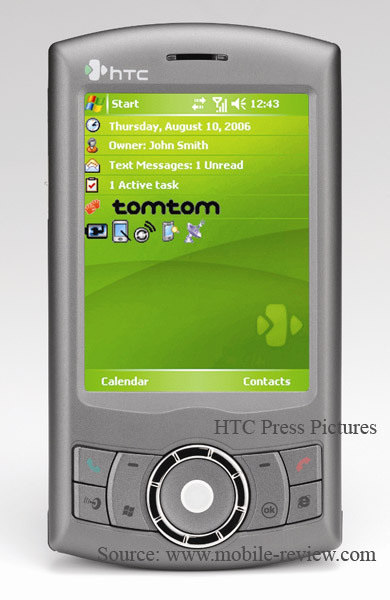 As a matter of fact, this device is nothing more, but a re-designed and downgraded version of the pervious generation - HTC Typhoon, but running on a new operating system. The model is a quad-band one and on top of that has support for EDGE connectivity. The featured display with a diagonal of 2 inches offers only an outdated resolution – 176x220 pixels, which is quite typical for most of low-end solutions. A slot for miniSD memory cards and a 1.3 Mpix camera module are the last things on the S310’s spec sheet, as for tactile feelings, bulky and thus handy buttons leave very favorable impression. The model aims at the mass market and therefore 250-300 USD (without an included contract) would be an acceptable price for this device, nevertheless in the beginning of sales it is more likely to cost by 25-30% more. 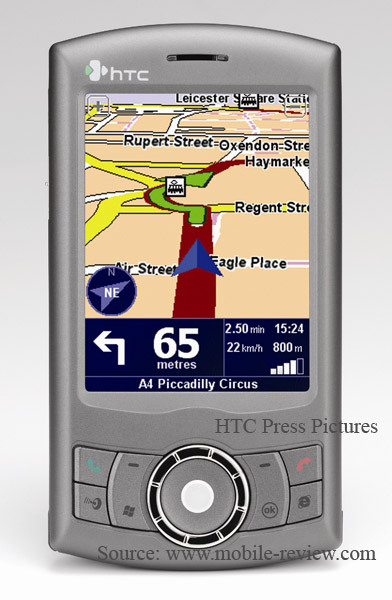 The company’s first model to feature a bundled GPS receiver has acquired the index of HTC P3300, and codename “Artemis”. Having used HTC Prophet/Wizard platform as a base, the company has added SiRF Star 3 chip, FM radio (the rest of technical specifications match those of the Prophet in many respects) and packed all that in a fresh-looking casing – the outlook of the P3300 appears to be somewhat new for HTC and thus adds to the device’s image a little. The device’s memory can be expanded with microSD memory cards, which, though, cannot be changed in hot swap mode. The model measures 108x58x16.3 mm in size and judging by the given numbers, it is thinner than its predecessors. A feature that makes the P3300 stand out against the background all other devices is its navigation controls, which are actually a trackball and a wheel. All the details are coming up in the corresponding review, and all we have left to do now is emphasize that it’s the first time something like this has been incorporated into a mobile device. Despite the company being an undisputed leader among other manufacturers producing Windows Mobile-powered solutions, the announced models are intended for living up to HTC’s image and reducing to zero handicaps of its rivals in other fields. 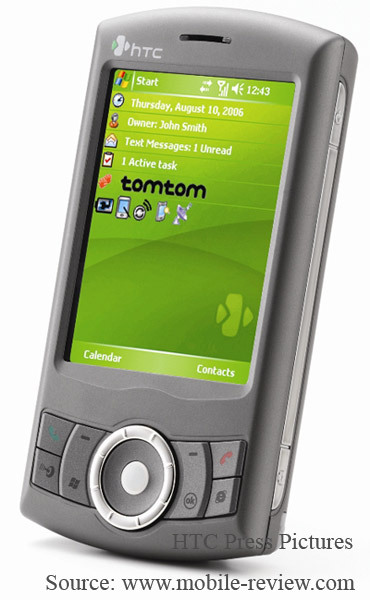 Long before HTC S310, CMCS released entry-models (in Russia these solutions are known as Rover M1, M5); in its turn, HTC S620 was preceded by Samsung i320 and Moto Q, while HTC P3300 aims at adopting the success of navigation communicators Mio A700 and E-Ten G500. Will the company be able to secure its leadership in sales of Windows Mobile-based devices and at the same time outdo all the rivals in terms of technologies in other niches? The answer will emerge in less than one year’s time; in its time Nokia managed to cope with similar goal.